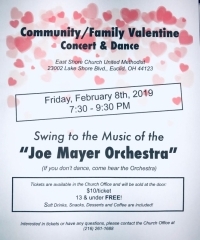 invites you to a "Community/Family Valentine Concert & Dance." Featuring the "Joe Myer Orchestra" (If you don't dance, come hear the orchestra). Tickets are available in the church office and will be sold at the door. $10/ticket; 13 years old & below FREE! 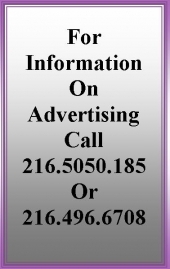 (Soft drinks, snacks, desserts, and coffee are included).